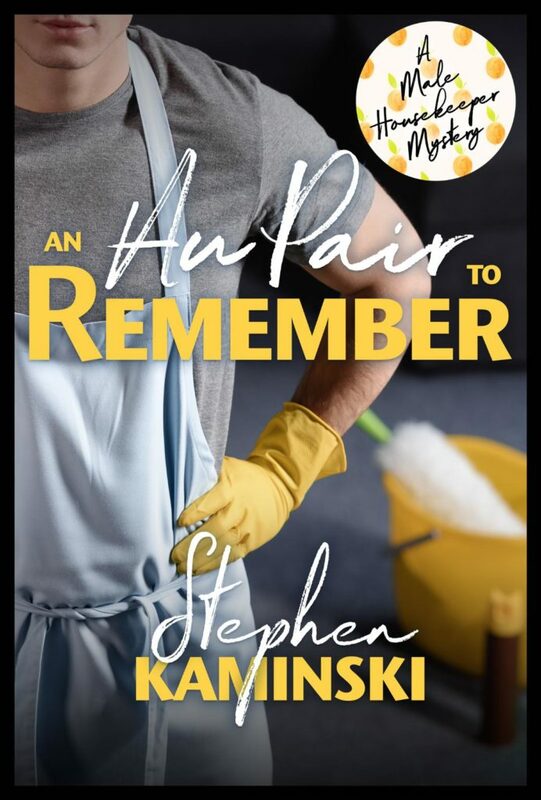 I’m pleased to have author Stephen Kaminiski from Arlington, Virginia here to chat about his writing and his cozy mystery, An Au Pair to Remember, that’s on blog tour with Escape with Dollycas into a Good Book. I’ve been published since 2012. Nice. Tell us a little bit about your books — if you write a series, any upcoming releases or your current work-in-progress. If you have an upcoming release, please specify the release date. Between 2012-2014, three books in Damon Lassard Dabbling Detective series were published. In January 2019, I just launched a new series—the Male Housekeeper Mysteries, focusing on charming characters, snappy dialogue, eclectic murders, and cunning confidence schemes. Here’s a brief overview of the series backdrop and of the first book—An Au Pair to Remember. Your new series sounds like it’s off to a great start. My goals are to excite and entertain. My writing is light and I simply want readers to enjoy themselves. In the next twelve months I’d like to finish the next book in my Male Housekeeper Mystery series. 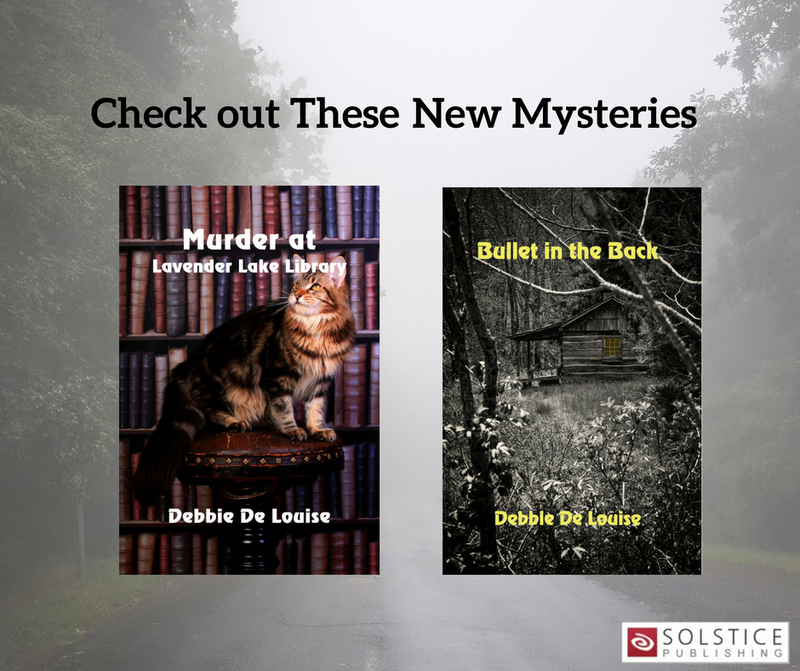 Anyone who enjoys quick-witted dialogue and a lighthearted approach to murder will enjoy my books—basically the antithesis of hardboiled crime. There’s certainly an audience for that among cozy readers. Write and submit, write and submit, write and submit. Then take constructive criticism to heart and follow advice that publishers offer. I think the biggest challenge was figuring out my style. My first manuscript for It Takes Two to Strangle (in 2012) was about 30,000 words longer than what eventually was accepted for publication. I was trying to mold my writing into what I saw most often on library and bookstore shelves without realizing that a shorter and snappier version of my writing style was perfect for the cozy genre. 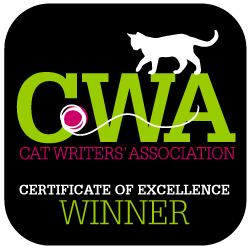 Thankfully, Cozy Cat Press saw my potential and took the time to and work with me. It takes time for authors to develop their special style of writing. I’m sure it was helpful to work with your publisher to develop it. Unfortunately, not—between a demanding full time job, child care responsibilities, and writing, I haven’t been able to participate in any groups. When I’m not writing, I’m typically reading, cooking (but not baking! ), exercising, and playing the vital roles of chauffer and wallet-on-legs for my teen-aged daughter. Lol. I know what you mean about wallet-on-legs for teenagers. I have a 14-year old daughter. What I like most is the sense of calm it brings me. My favorite time to write is very early in the morning with a cup of black coffee in hand and a blanket on my lap. Quiet evenings with a candle or two and a glass of red wine or three are almost as rewarding. I also enjoy writing things that I think will make readers laugh or bring them a sense of joyful bewilderment as they twist and turn through the plot. I can relate. I get a lot of enjoyment from my writing, and I also like to write early in the morning before work. The toughest challenge is getting stuck. All writers get stuck at times and it’s very challenging to work through. For me, it often happens when I need to get “from A to B,” but I can’t figure out a way to do it in a way that’s engaging to the reader. I find that often happens midway in a book, but then if you take a break and go back, something fresh usually pops up to add to the story. I can be corny and cheeky, which fits my personality well. I can spin the plot lines in a manner that’s sends a reader every which way, but then all comes together at the end. I can create some characters who are clever and others who have their heads-in-the-clouds. And in all of my books, in addition to the murder, I embed a number of clever cons for the reader to sink her or his teeth into. Leaving Samantha with her suppositions at the Laundromat, Cam took a detour past Becka Blom’s living quarters—the basement apartment of a historic Victorian. The red-, green-, and white-colored home featured a striking array of dormers, gables, and turrets. Cam stepped onto the portico and rang the bell. A gray-haired man sporting an Einstein-inspired mustache and a knit sweater fraying at the cuffs opened the door. “It’s at my office.” Cam explained that Becka worked for his cleaning company and hadn’t been seen since early in the morning. Cam followed him into a formal living room decorated in a French provincial style. While the man went off to find his wife, Cam looked down at his sweatshirt and jeans, feeling out of place. “Please sit down,” a woman’s voice commanded with the authority of a general. The mustachioed man immediately sat on a sofa. “I wasn’t talking to you, Reg,” she said sternly and extended her hand toward a high-backed chair. Cam sat as directed. Cam nodded. The mistress of the house stood over him, her sapphire blue eyes piercing his. Cam told her she had, then ran off in one of his cleaning vans and hadn’t returned any of his messages. “Why did they move to Rusted Bonnet?” Cam asked. Diane folded her hands and sat on the edge of the sofa next to her husband. Her fingernails were flawlessly manicured. Suddenly a clank came from directly below the living room floor. Cam’s eyes shot open wide and he jumped to his feet. A disturbing thought flashed into Cam’s head. Becka was twenty-four, almost the same age as Greta. Was this mismatched couple sitting in front of him murdering young women in the village? 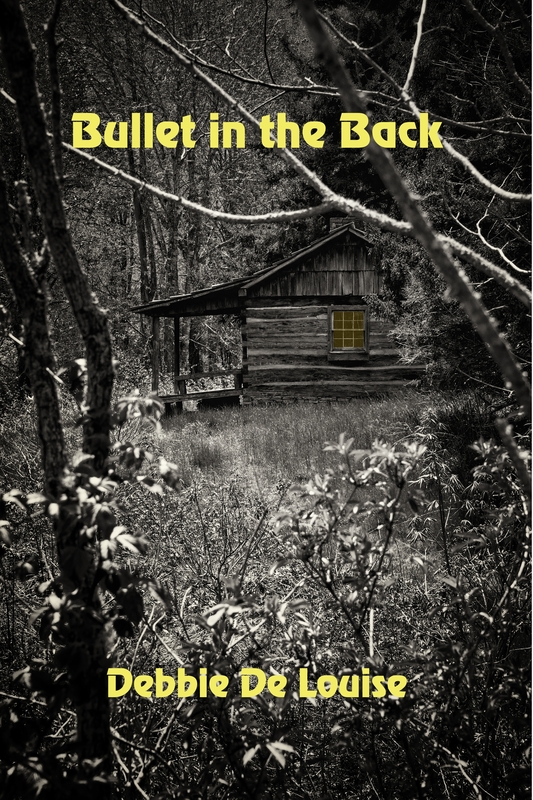 Cam returned home, then laid awake all night, envisioning Becka Blom tied to a chair in the Archambaults’ basement. I think your mystery-loving readers might be interested to know that in my professional life I handle all things poison! I’m the chief executive of the association that represents the country’s poison control system—55 centers made up of medical professionals who answer about 3 million calls to poison control every year. 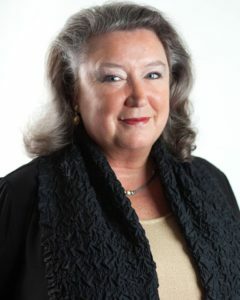 While our centers regularly handle opioids abuse and accidental ingestions of household products, if there’s ever a place to expertly advise on hemlock, strychnine, or belladonna exposures, it’s our centers and their toxicologists. Very interesting. I’m sure that helps you planning some of your murder mysteries. Thanks for chatting today, Stephen, and best wishes with your new release and series. I’m sharing your blog tour below. 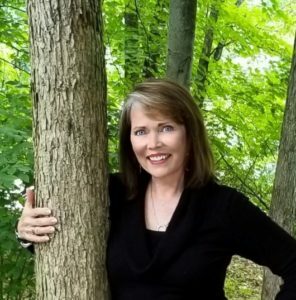 I’m pleased to have author Linda Hope Lee from Edmonds, Washington to chat about her writing and her cozy mystery, Murder Between the Pages, that’s on blog tour with Escape with Dollycas into a Good Book. Nice to have you here, Nina How long have you been published? What titles and/or series have you published and with which publisher? Have you self-published any titles? Please give details. I’ve published 28 books of contemporary, romantic suspense, and mystery. One is these, Treasures of the Heart, is self-published. Murder Between the Pages is my first cozy mystery. Wow! That’s quite a writing career. Early books were written as Hope Goodwin. Now I’m using my legal name, Linda Hope Lee. 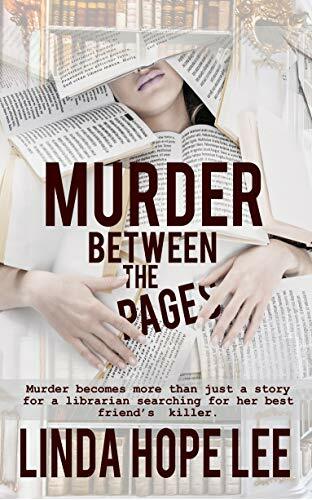 Murder Between the Pages, the Nina Foster Mystery Series, Book 1, was released in Dec. 2018. Book 2, Secrets to Die For is in production but no pub date yet. I want to write more books in the Nina Foster series. I am currently working on Book 3. Readers who like cozy mysteries. Those are very popular today. Not original advice but I can think of nothing better than to keep writing and sending out your work. That can’t be emphasized enough. 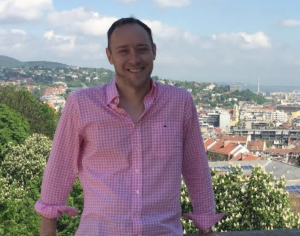 Juggling a full-time job with writing. I think most writers struggle with that. I know I do. I belong to RWA, Greater Seattle, Evergreen, and Faith, Hope and Love Chapters; Sisters in Crime. Most authors dislike marketing. It’s one of my least favorite parts of publishing, too. Working along with the amateur sleuth while she puts together the puzzle pieces and solves the crime. Next to the reading area, a wrought iron spiral staircase led to the second level, where…a domed skylight allowed light to beam on the lower level…. The skylight was the main reason Wildeen chose this building for her bookstore. She wanted customers to sit and enjoy the books under the dome’s natural light. “Aren’t you afraid people will only read and not buy?” Nina had asked. Very nice excerpt. Thanks for sharing it. I love writing stories and feel so lucky and privileged to have had my books published. I feel the same. It was a pleasure to have you here on Ruff Drafts, and I wish you success with your new cozy mystery series. I’m sharing your blog tour below. 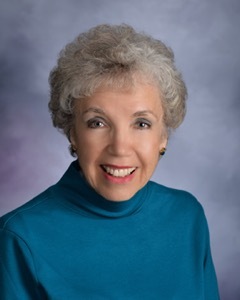 I’m pleased to have author Kathleen Valenti from Bend, Oregon (a.k.a. paradise) to chat about her writing and new release, As Directed, that’s on blog tour with Escape with Dollycas into a Good Book. Great to have you here, Kathleen. How long have you been published? What titles and/or series have you published and with which publisher? Have you self-published any titles? Please give details. The Maggie O’Malley Mystery Series, published by Henery Press, has been out for about a year and a half. My first book, PROTOCOL, debuted in September of 2017. It was followed by 39 WINKS in May of 2018. I’m excited for the launch of the series’ third book, AS DIRECTED, which releases this month. Nice. I featured a spotlight on 39 Winks and am happy to feature your new title. Can you please tell us a little bit about your books? 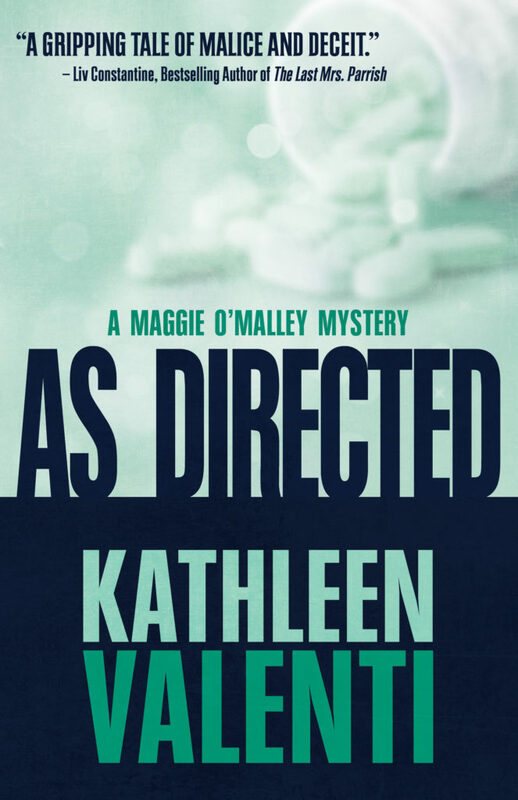 In the Maggie O’Malley Mystery series, sometime pharmaceutical researcher Maggie O’Malley cures mysteries with wit, the scientific method, and her wise-cracking best friend, Constantine. 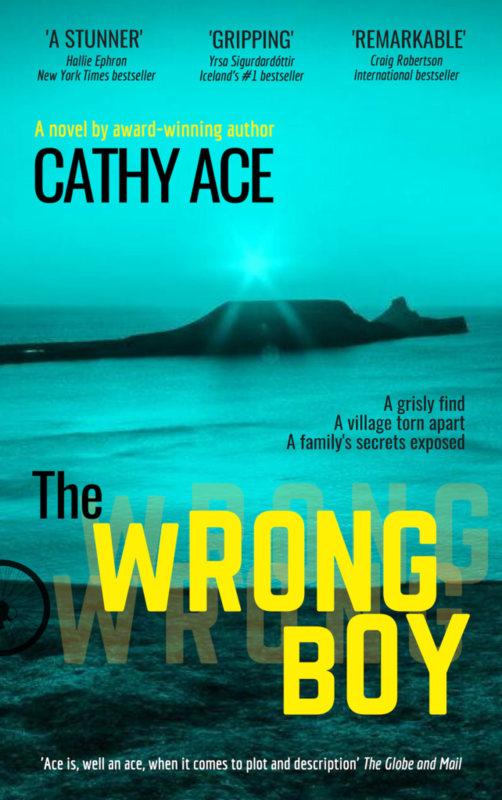 The first book in the series, PROTOCOL, was nominated for the prestigious Agatha and Lefty awards and was followed by fan favorite, 39 WINKS. AS DIRECTED, released on March 12, 2019. Congratulations for publishing the latest of what sounds like a wonderful series. Alicia’s friend Gilly in my Cobble Cove mystery series might be a lot like Maggie’s friend Constantine. I already “like” your page and hope that readers of this blog will do so, too. I’m looking for readers who love books with suspense, twisty plots, and witty dialogue. Keep at it! It’s a tough business to break into, but don’t lose hope. If you continue to hone your craft and write the best book you can, you’ll find people who believe in it as much as you do. There are so many great avenues for getting a book out into the world these days, but I decided I wanted to go the traditional route. More than ever, that means securing an agent. For me, that was by far the most difficult and daunting part of the process. The rejection rate of agents responding to queries is 99%. 99%!! That’s where the perseverance I mentioned above comes in. While searching for the right agent, I made sure I had the right book. It took an enormous amount of time, energy and effort, but it was absolutely worth it. I’m still trying to find an agent, but I’m happy that I’ve been published with several publishers, although I hope to publish with a large one eventually. I belong to Sisters in Crime, a fantastic organization that supports sisters (and misters!) who write crime fiction, Mystery Writers of America, and International Thriller Writers. I’m also a blogger on two multi-author blogs: Chicks on the Case and Mysteristas. I agree Sisters in Crime is a wonderful group. I belong to them, too, as well as International Thriller Writers. I must check out the blogs you mentioned, and I hope my readers will, too. They sound great. 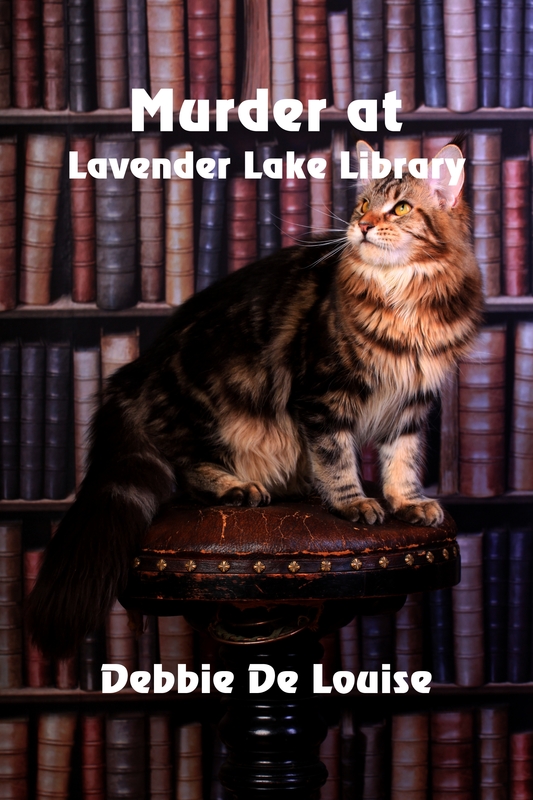 I also blog on a multi-author, blog, Pens, Paws, and Claws and my character cat, Sneaky the Library Cat, has his own blog. Of course reading is near the top of the list. I also love to snowmobile, camp, hike, run and Jazzercise. It’s good you stay active when you’re an author and have to spend a lot of time at the computer writing. As a librarian, I love to read, too, but I make it a point to exercise daily. I enjoy the Leslie Sansone walking videos. I imagine Jazzercise must be fun. I love the puzzle of writing a mystery. The toughest challenge is marketing. There are so many wonderful books out there that it can be difficult to be seen and heard in the marketplace. My books actually aren’t cozies. They’re traditional mysteries with a medical angle. I love the traditional mystery genre for its ability to create interest and intrigue while engaging the reader. 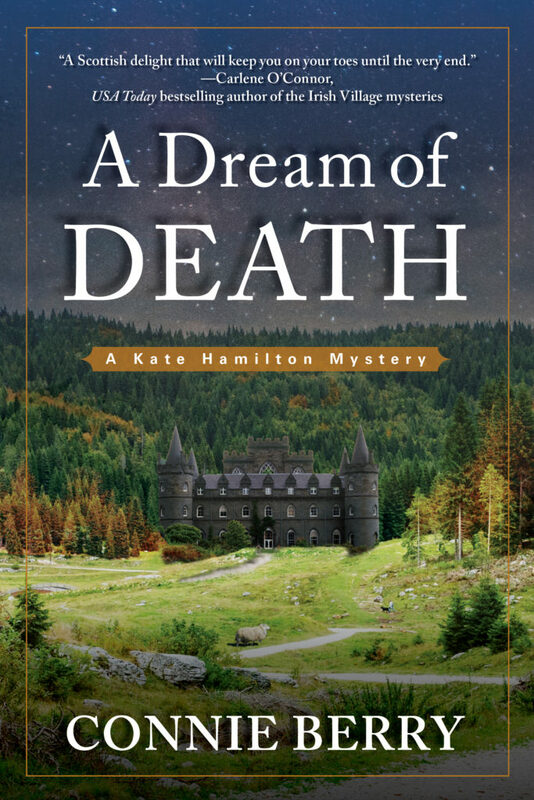 While I have a cozy series, I have written a traditional mystery, Reason to Die, and have just signed with another publisher for my psychological thriller, Sea Scope. Can you share a short excerpt from your latest title o? Claudia Warren took too long to die. Claudia couldn’t even die right. Then again, she’d never been murdered before, so maybe that was to be expected. Claudia died alone, as she did most things. She came home from the grocery store, carefully inserted her key into the deadbolt, jiggling it up and down to engage the tumblers, then tossed her purse on the counter next to yesterday’s mail. She deposited white plastic grocery bags on the counter—she couldn’t be bothered with toting around cloth ones—and began to unpack the fruits of her Pick-N-Save foraging. A pack of single-serving puddings. A box of single-serving juices. An array of Lean Cuisine entrées, the accent capping the “e” an attempt to catapult the food from TV dinner to culinary experience. Single serving food for her table-for-one life. Not that she minded living alone. She relished it. 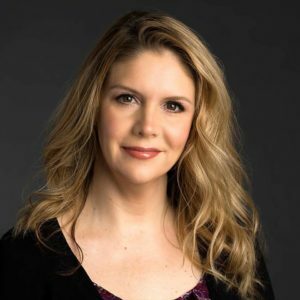 She had her rescue cat, Todd, a fat tabby who bumped her chin with his head when she bent to fill his dish, and her work as an advertising account exec, which followed her home every night like a stalker. Human beings? She found them overrated. They were too critical of her missteps. Too overbearing in their suggestions. Too there. And yet the moment she knew something was wrong, very wrong, she had a sudden and intense urging for that thereness. Her cheating ex-husband. Her meddling mother. The woman next door who pilfered coupons from her mailbox. It didn’t matter. She would’ve taken any of them. She needed help. She needed someone there. She needed someone to stop her heart from stopping. Exciting excerpt. Thank you for sharing. I’ve added you to my TBR author list. When I’m not writing mysteries, I work as an advertising copywriter, writing ads for everything from banks and healthcare to athletic apparel and transmissions. Really! Interesting. You certainly are a wordsmith, Kathleen. Thanks so much for a great interview. I’m sharing the information about your blog tour below. Best wishes on your new release and future mysteries. 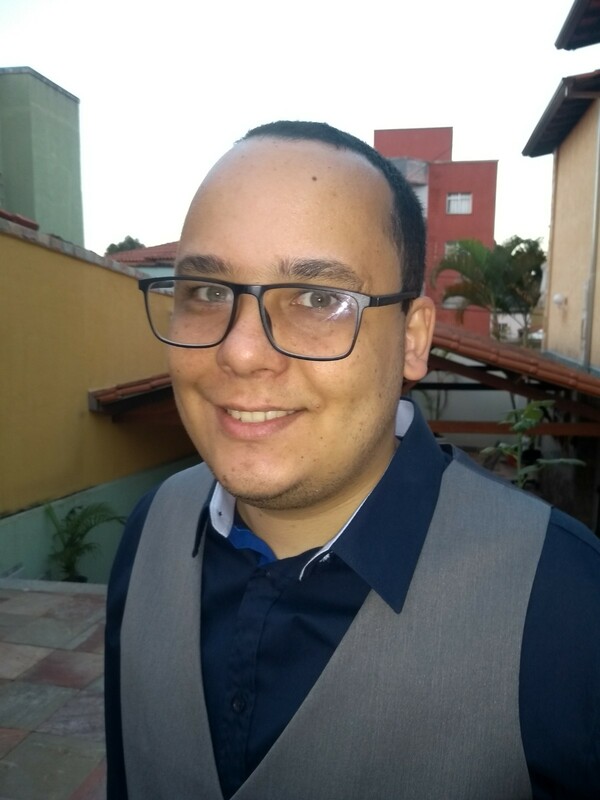 I’m pleased to have author Matt Ferraz from Contagem in Southeastern Brazil here to speak about his writing and new release, Sherlock Holmes and the Glad Game. Welcome, Matt. Please tell us how long you’ve been published and what titles and/or series you write. I self published my first book, Teorema de Mabel (Mabel’s Theorem) in 2013. It’s my only literary book written in my mother language, Portuguese. Since then, most of my works have been in English, and a few in Italian. My second novel was Killing Dr. Watson, a murder mystery which was released in the UK by MX Publishing. Then, I started my series Grandma Bertha Solving Murders, with the first volume, The Convenient Cadaver, being self published in 2015. It’s a cozy mystery series with a character I did inspired by my own grandmother. The second book in that series is coming out in early 2018. Sounds like you’ve written some nice mysteries. My dream, which I share with most writers, is to make a full living out of my books. It’s not easy, and takes a lot of hard work, but I’m determined to pursue it. My country is going through an economic crisis right now, so I have just as many chances of making money with my books as I would with a regular job. Sorry about your country’s economic situation, but best of luck with your book selling. 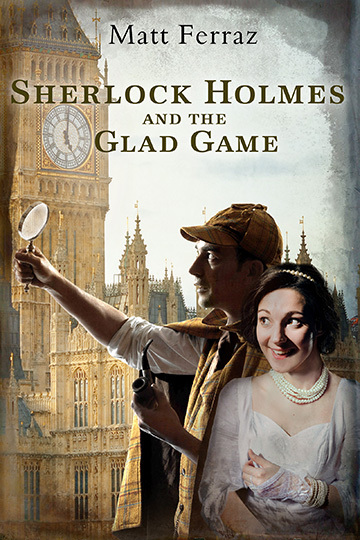 With Sherlock Holmes and the Glad Game I intend to reach sherlockians, who love everything related to the character created by Sir Arthur Conan Doyle; cozy readers, who love a clean mystery read; and also people who like classic literature and want to see how characters as different as Holmes and Pollyanna will interact. 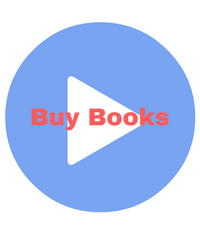 Learn everything you can about the publishing market. It’s not enough just being a good storyteller and putting the business work in the hands of an agent or publisher. You need to know the ground you’re stepping in. I had problems with word count, and everything I wrote was far too short to be released by a regular publisher. It took some time to fix that. I think most publishers are now accepting shorter-length books. I attended to a wonderful workshop with Joanna Penn and Orna Ross in London, which taught me lots about how to make a living out of books. Besides that, I took some courses about publishing, but never about the writing itself. I agree with Stephen King, who says that writing can be learned but not taught. I’m a trained barista, and can make some pretty tasty coffee drinks. I also love cinema, and go the movies as often as I can. Being a writer makes me feel like I can be in the same club where many people I look up to are. The worst part is that people don’t see it as a career, only as a hobby, and I have a tough time convincing them that this is what I want to do for a living. Great! Thanks for chatting with me today, Matt, and best wishes on your new release and upcoming mysteries.